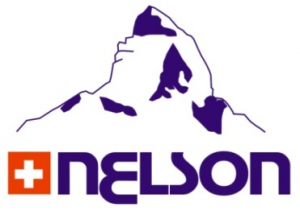 This website is the property of NELSON Worldwide AG. – provision of the best service for our customers and website visitors. While using our website, we may ask you to provide us with essential personally identifiable information that can be used to contact or identify you. Personally identifiable information may include, but is not limited to, your name, e-mail address, postal address and phone number (“Personal Information”). Like many site operators, we collect information that your browser sends whenever you visit our website (“Log Data”). This Log Data may include information such as your computer’s Internet Protocol (“IP”) address, browser type, browser version, the pages of www.nelsonag.ch that you visit, the time and date of your visit, the amount of time spent on those pages and other statistics. Cookies may be sent to your browser from a web site and stored on the hard drive of your computer. Like many other sites, we may use “cookies” to collect information. You can instruct your browser to refuse all cookies or to indicate when a cookie will be sent. However, if you do not accept cookies, you may not be able to use some portions of attended websites. The security of your “Personal Information” is important to us, but remember that no method of transmission over the Internet, or method of electronic storage, is totally (100%) secure. While we strive to use commercially acceptable means to protect your “Personal Information”, we cannot guarantee its absolute security. Our Site may contain links to other sites that are not operated by us. If you click on a third party link, you will be directed to that third party’s site.